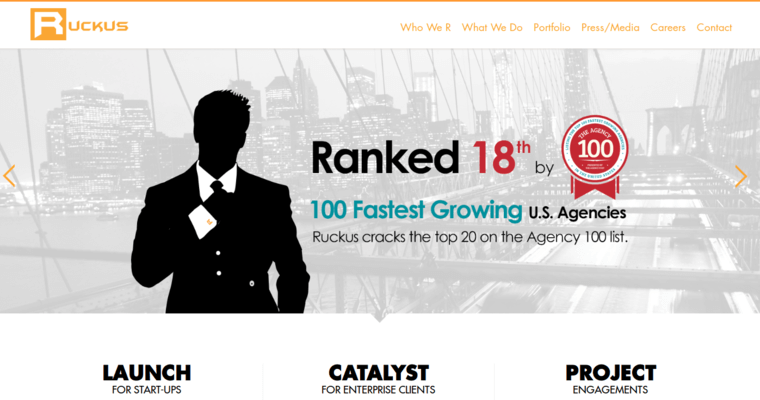 Ruckus Marketing is an award-winning web designer that has the expertise to breathe new life into a company's story create branding that has a distinct look and get messages listened to by a larger audience for their clients. 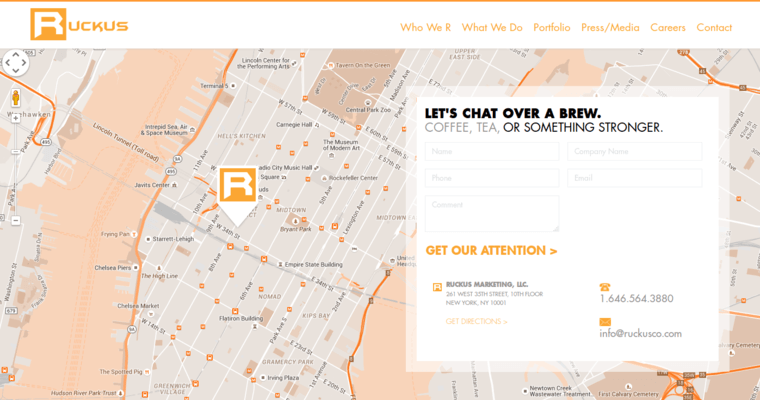 Their gifted team creates useful interfaces for an eye-catching presence that conveys their client's story and enhances their brand's performance. They can aid in taking platforms, brands and the companies their clients have worked so diligently to build around the world through their innovative campaigns. 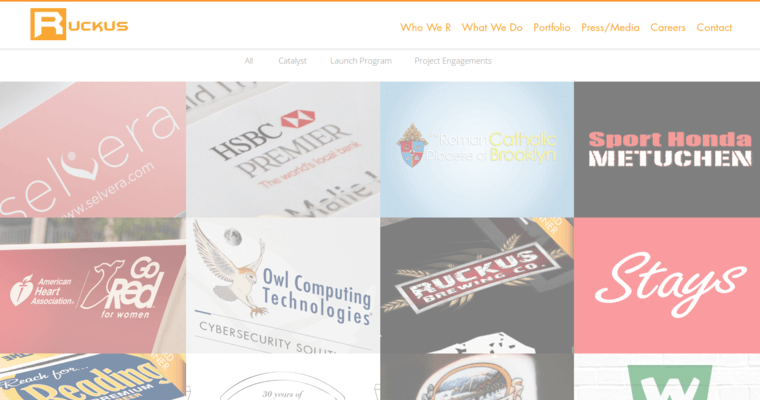 Through expert placement, their clients' campaigns will reach massive exposure while resonating and sticking with their targeted audience.